Google is gearing up to launch its next-generation Pixel smartphones at an event on October 9, 2018 in New York City. Ahead of the event, Google has shared a new teaser trailer for the handset that hints at the return of Active Edge – the squeezable frame that debuted with the Pixel 2 and Pixel 2 XL last year. The new teaser trailer was shared on the company's Japanese YouTube channel. It features a slew of quick clips of people pinching, squeezing and grabbing everything from children's faces, swordfish, and coloured chalk powder. 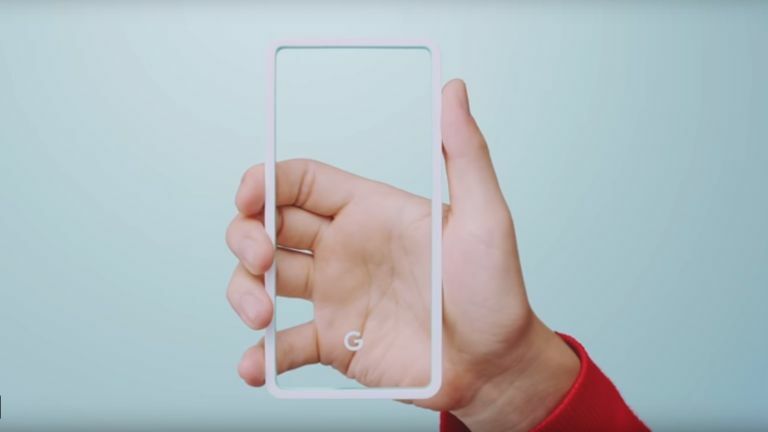 The promotional video ends with a disembodied hand squeezing the frame of a smartphone, an action which was used to summon Google Assistant in the Pixel 2 and Pixel 2 XL. Active Edge can also be used to silence incoming calls by quickly depressing the sides of the smartphone. Google has never revealed how many people use Active Edge on its Pixel smartphones; however, the feature isn't available on many Android handsets so it makes sense the company is keeping it around for the next iteration of Pixel devices. The Google Pixel 3 and Pixel 3 XL have suffered a number of high-profile leaks in the months ahead of the official launch event next week. According to the leaked devices, the Pixel 3 and Pixel 3 XL will both see a bump in screen size compared to their predecessors. The Google Pixel 3 should jump up from the Pixel 2's 5-inches to 5.3-inches while the Pixel 3 XL should go from the 6-inch predecessor's size to a new 6.2-inch display. The latter is widely-tipped to sport a notch, enabling Google to squeeze the larger display into a smartphone not much bigger than the Pixel 2 XL. As for the rest of the specs, the use of the Snapdragon 845 chip seems inevitable, as it's included in every other Android flagship this year. RAM and storage may well get a boost too, but Google will no doubt also emphasise the importance of AI and the cloud in ensuring the smooth performance of the Pixels. Elsewhere, there are rumours Google will also add wireless charging to the mix, but given that none of the leaked smartphones have a glass back – this seems unlikely.